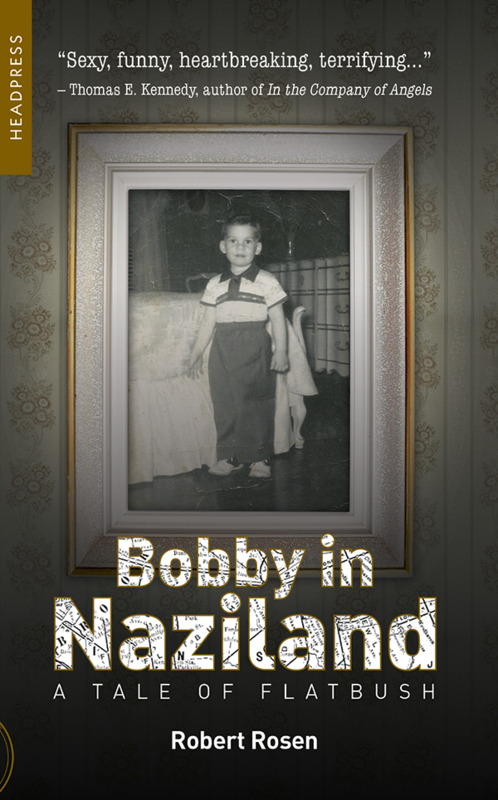 From the final days of the Brooklyn Dodgers in the mid-1950s to the arrival of the Beatles in 1964, Bobby in Naziland is an unsentimental journey through one Brooklyn neighborhood. Though a 20-minute and 15-cent subway ride from the skyscrapers of Manhattan, Flatbush remained provincial and working-class—a place where Auschwitz survivors and W.W. II vets lived side by side and the war lingered like a mass hallucination. Meet Bobby, a local kid who shares a shabby apartment with his status-conscious mother and bigoted father, a soda jerk haunted by memories of the Nazi death camp he helped liberate. Flatbush, to Bobby, is a world of brawls with neighborhood "punks," Hebrew-school tales of Adolf Eichmann's daring capture, and grade-school duck-and-cover drills. Drawn to images of mushroom clouds and books about executions, Bobby ultimately turns the seething hatred he senses everywhere against himself. From a perch in his father's candy store, Bobby provides a child's-eye view of the mid-20th-century American experience—a poignant intertwining of the personal and historical.